There’s a lesson in cause marketing to be learned from the laudable partnership. High-fashion designer Vera Wang and the not-so-high-fashion department store Kohl’s have found common ground and a common cause. 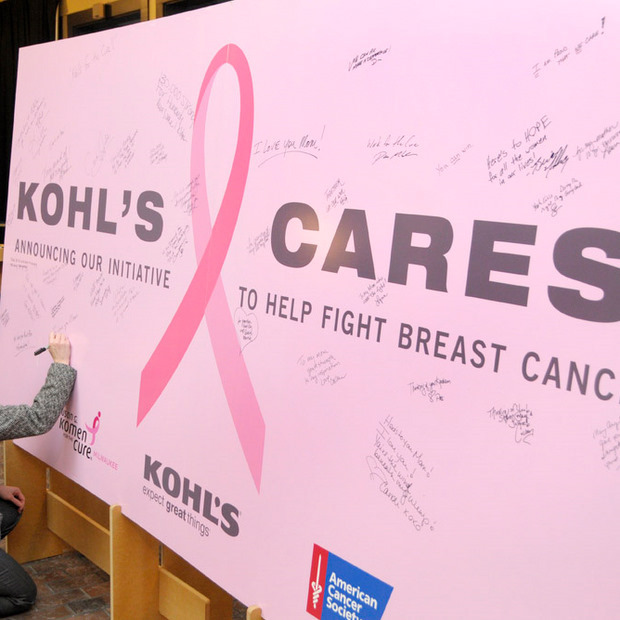 Low-priced items designed by the typically high-priced Wang will be sold at Kohl’s, with 100% of profits going to the fight against breast cancer. The program lasts from September to December (beyond October, National Breast Cancer Awareness Month, it should be noted) and stands to raise a huge sum. But from a cause-marketing perspective, it faces a challenge: finding its way amid hundreds of other similar campaigns. “The breast cancer cause is one of the most supported and is a highly cluttered arena, with hundreds of companies chasing the halo bestowed by engagement with this important issue. Unfortunately, most companies do not go deep enough with a sincere commitment over time to breakthrough to consumers and their employees,” cause marketing pioneer Carol Cone tells Fast Company. “While I commend they have raised more than $150 million through their customers for Kohl’s Cares, the Vera Wang partnership is tepid at best. As a consumer I would want to see something more expansive and innovative. Unless it is well communicated in-store and online, it risks getting lost in October’s ‘sea of pink’ during breast cancer month,” Cone says. Also, Vera Wang isn’t the only high-fashion designer on the health care runway. Diane von Furstenberg just announced her new hospital gown for the Cleveland Clinic. The von Furstenberg effort looks promising as a significant, unique contribution to the Cleveland Clinic. The design of the gown was born out of a need to improve ventilation in the garments, as patients were becoming increasingly warm in the hospital. Through careful choice of fabric and ongoing evaluation, the hospital and von Fursteneberg have been able to meet patient needs.